My last adventure in baking was the No Bake Raspberry Cheesecakes. It was Mother’s Day weekend, and I also planned to bake something for my mother that Sunday morning. I decided on Joy the Baker‘s Cream Cheese Pound Cake from her cookbook. I had to go out and buy aluminum loaf pans because my sister someone stole my loaf pan. The recipe is for a 9×5 loaf, which was no problem until my pan was liberated from my kitchen, but the ones I bought were 8×3 or some other not correct measurement. As such, I ended up with too much batter and tossed what remained in the cupcake pan. To go with the pound cake, I made whipped cream topped with the raspberries left over from the cheesecake. I’m not sure if it makes me sound snobby, but I don’t much care for store bought whipped cream anymore. That’s why I usually keep heavy cream on hand. I might eat store bought desserts and cakes made out of a box, but the whipped cream is made in house every time. I used to go by a recipe in Delicious Pastries, but now, I eyeball it and it works out pretty well. For your first attempts at making it, you might want to follow a recipe. Looking at this picture, it’s easy to see why I’m not a food photographer… or photographer of any kind, actually. The pound cake was REALLY good. My mom loved it and shared some with her sister the next day, and she loved it, too. And, yes, I still call my mother, Mommy. What’s it to you?! a dinner + (video game) dance party. Despite the fact that I’d been complaining about not having any time to myself, when I discovered my mother was going out one Friday night, I did something I never did in this situation as a teenager – invited my friends over for a party. Now, don’t get it into your head that this was some wild free-for-all. I only invited two friends over and the primary reason was to play Dance Central and Just Dance. The fact that I even have friends who were not only up for it, but were enthusiastic about playing rhythm games makes me happier than I can even say. Now here’s how you get to host a party and not cook. Ready? The background work is very simple – make sure it is well known that you do not cook and, in fact, eat most of your meals from the freezer, already made. This is important, because I asked Friend 1, if I was expected to supply cheese for the wine. (Did I not mention it was supposed to just be a wine + dance party?) She replied that it was up to me, because I was the host. At that point, I asked how would she like to have my kitchen all to herself to cook in. BAM! Let me be clear – this was not at all sneaky. She was well aware of what was going on. She even mentioned that it was crazy that I was hosting, but she was cooking dinner. But she went along with it, and that’s all that matters. The only stipulation was that I make dessert. Which, of course, I did. I made two. When I invited Friend 2, she immediately asked what could bring and ended up supplying a Mediterranean quiche (which was tasty in spite of my dislike of eggs, cheese, and most vegetables) and more wine. My friends and I drained mounds of pasta (Friend 1 made shrimp scampi, which is one of my most favoritest meals), quiche, cupcakes, cheesecake, and 3 bottles of white wine (Moscato, Strawberry Riesling, and Pinot – if you were curious) while dance battling on the XBox. We may have looked foolish, but we did not care one whit. I am beyond lucky to have these lady as friends and never was it more apparent than while we tried to keep up with a routine to Whip My Hair. If you want more information about the desserts I made, keep reading. 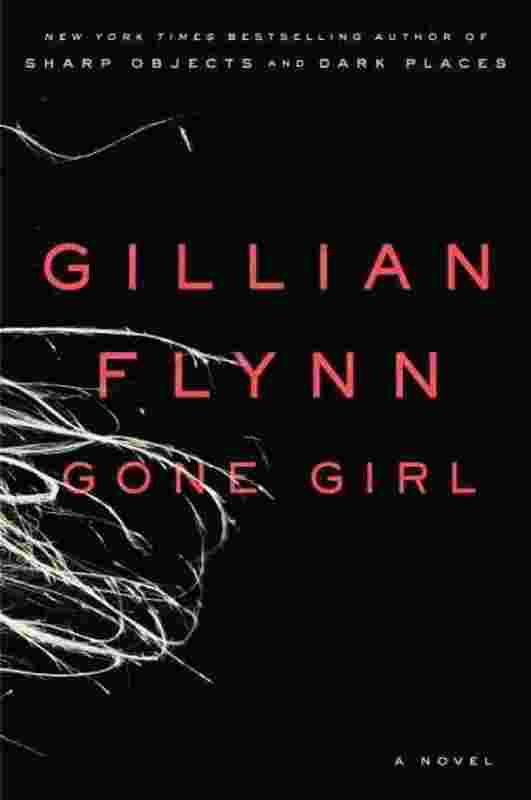 four book challenge: gone girl by gillian flynn. First up was Gillian Flynn’s Gone Girl as my popular choice for 2013. It’s rare that I have trouble describing a book or movie, but this seems to be one of those times. I don’t want to give anything away, so trying to explain what I liked about it is difficult for me. Overall, this book is crazy. I mean, it’s insane. It was very easy for me to see why this book was so popular. Gone Girl is unlike anything I’ve read in a really long time. I couldn’t stop reading it, because I had to know how it ended. It was full of a feeling of suspense that not a lot of authors can’t convey this successfully. Honestly, I wondered about the author’s mind that she could even come up with this bizarre story and its looney characters. Read if you like: Mysteries, thrillers, suspense, and crazy folks. The Art of Fielding was last year’s popular pick (it also doubled as the sports book).